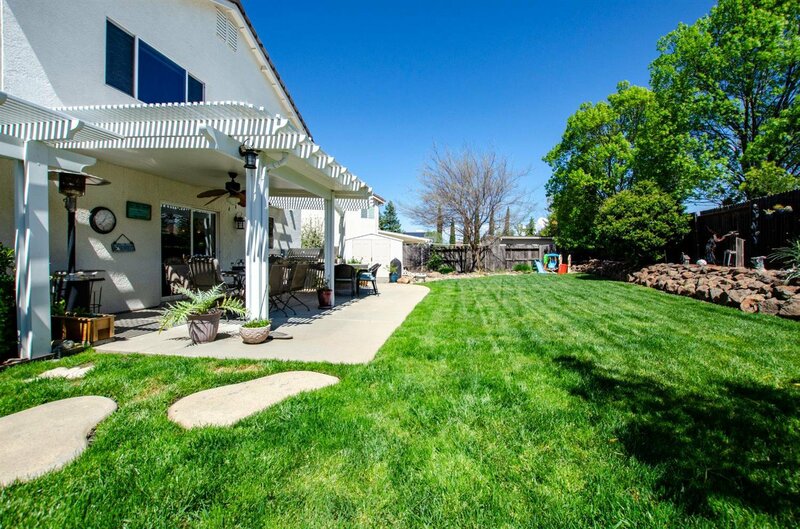 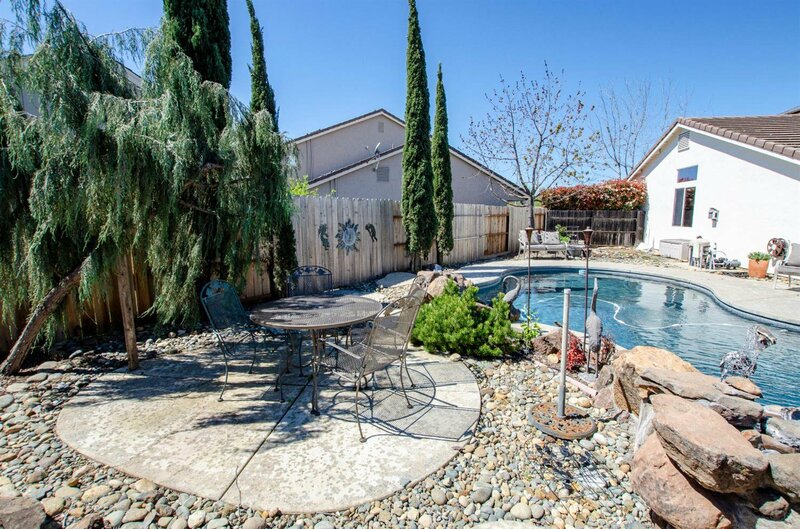 HUGE backyard offers an Entertainers Dream! 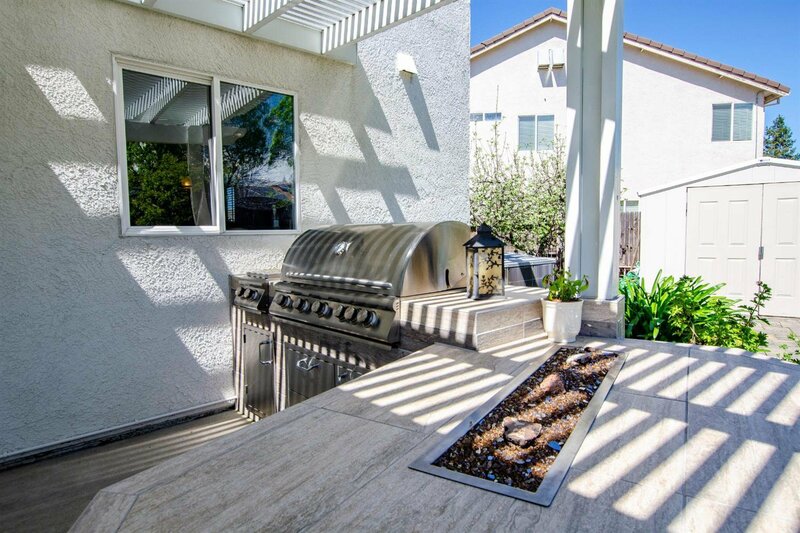 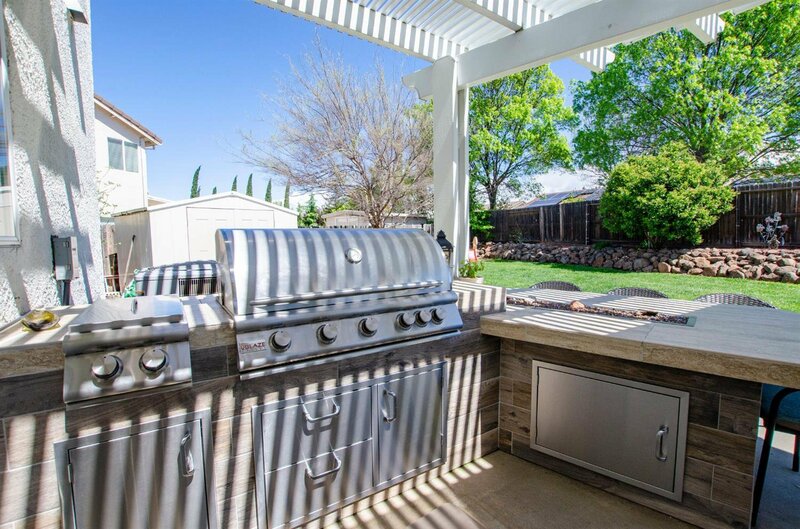 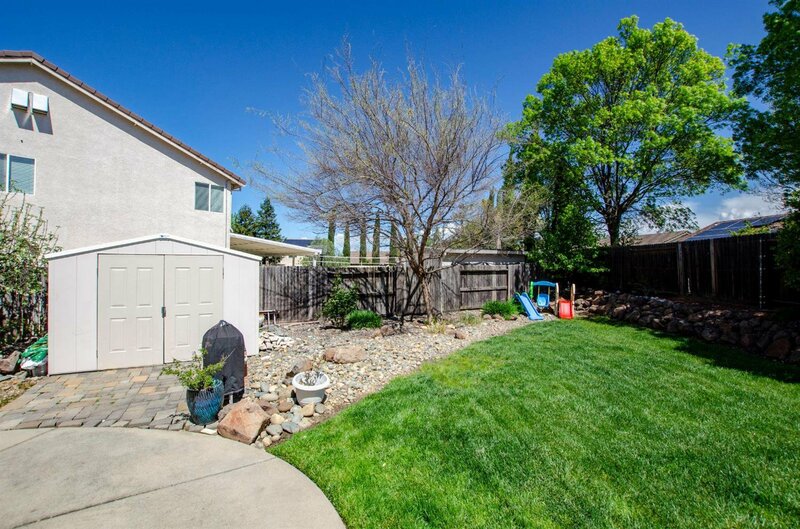 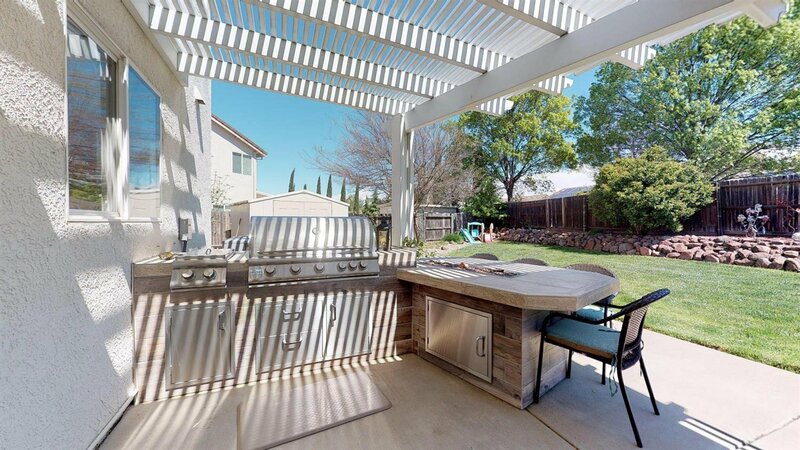 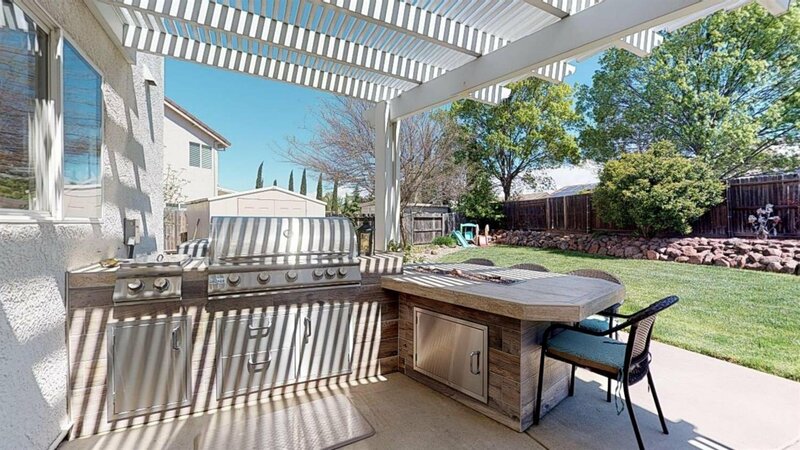 Cul-de-sac, pie shaped lot features a beautiful built in Stainless Steel BLAZE BBQ, 2 burner stove top, storage and a counter top fire pit for ambiance! 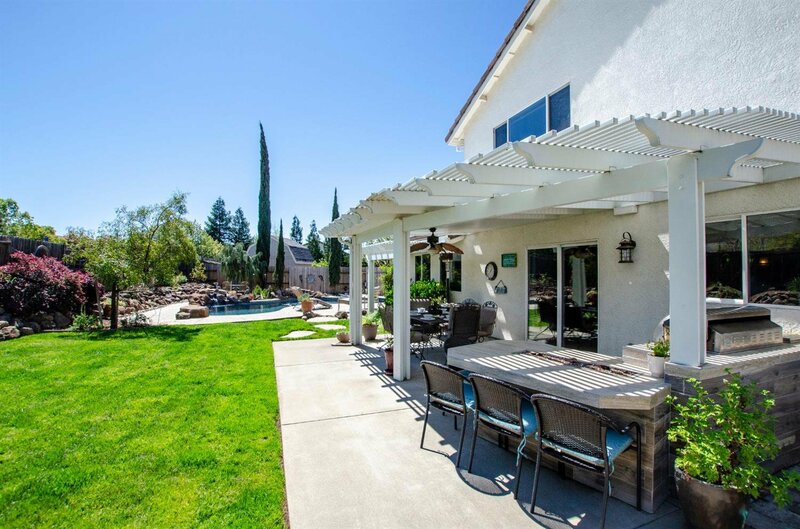 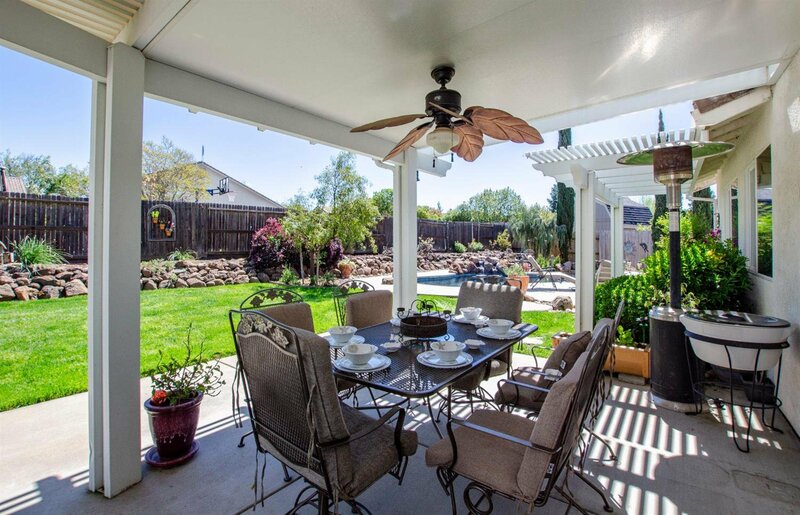 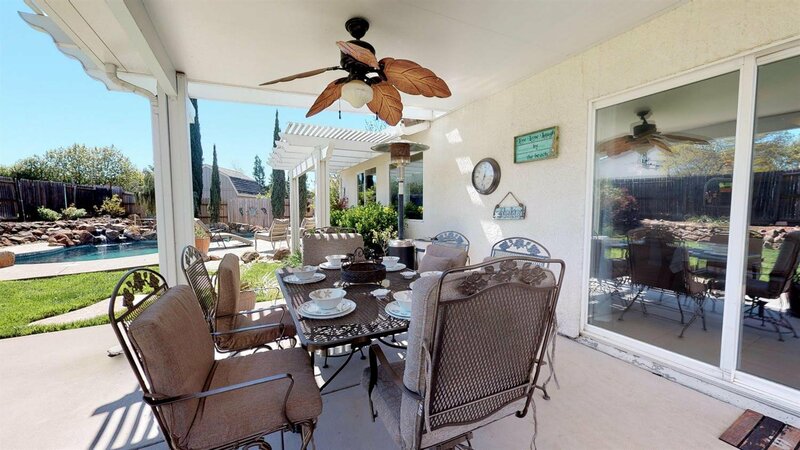 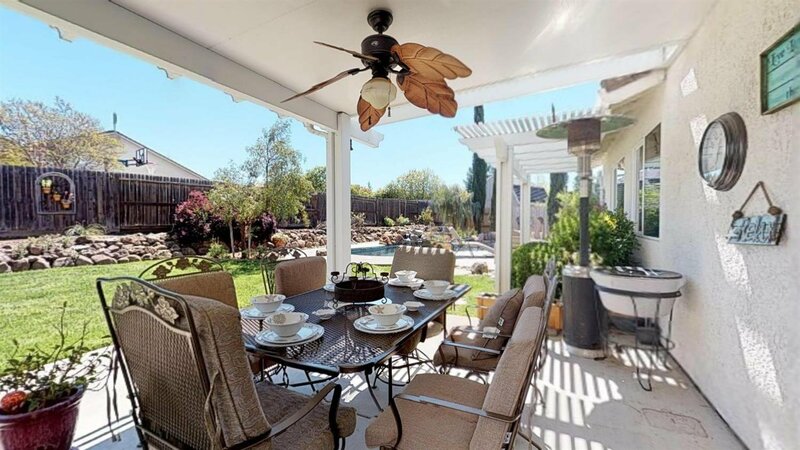 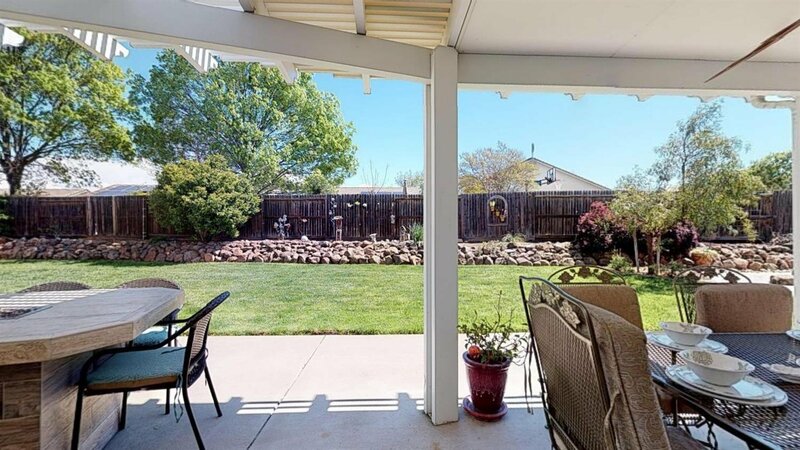 A large covered patio shades the morning sun as you sip coffee looking out to your Built-in Pool, surrounded by plenty of patio space and sitting areas for your company. 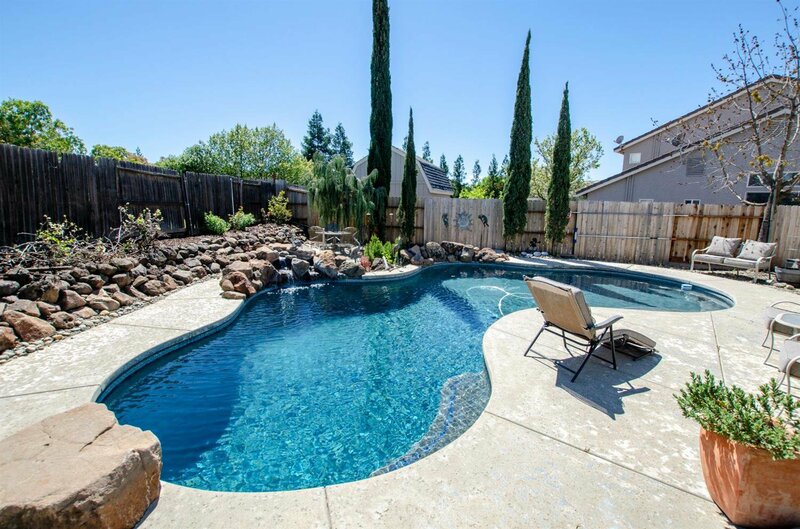 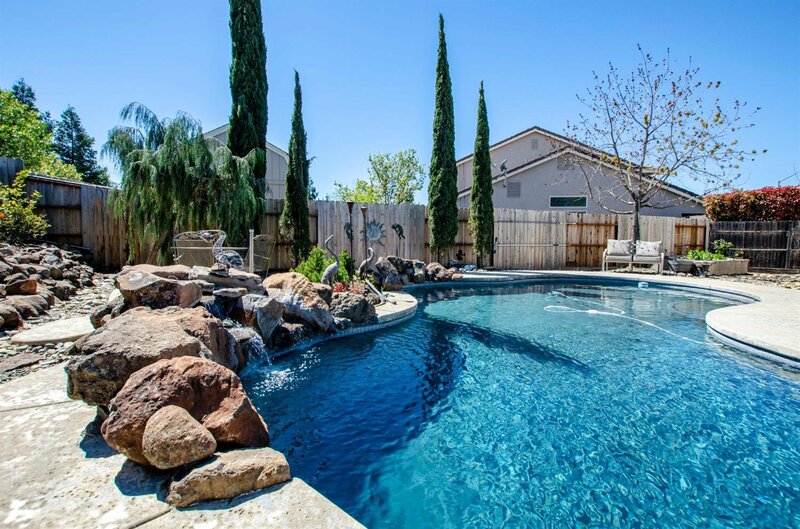 The pool highlights a rock water feature and comes with a variable speed pump to conserve energy. 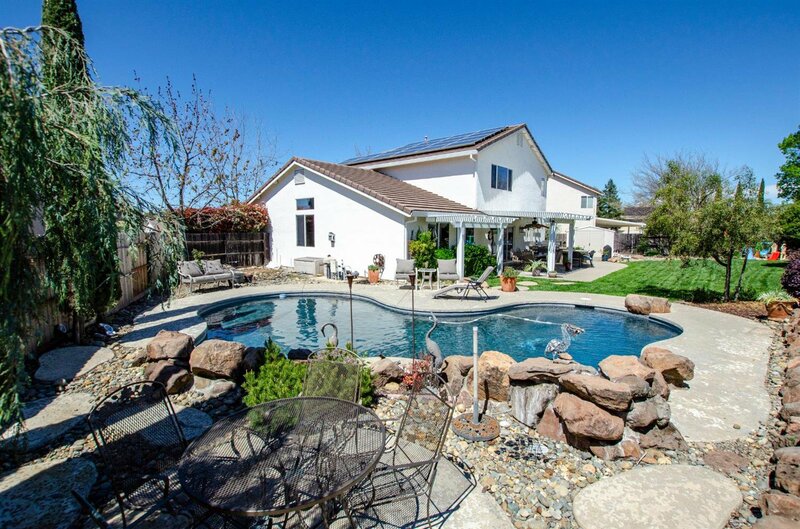 Energy bills stay low year round with OWNED SOLAR! 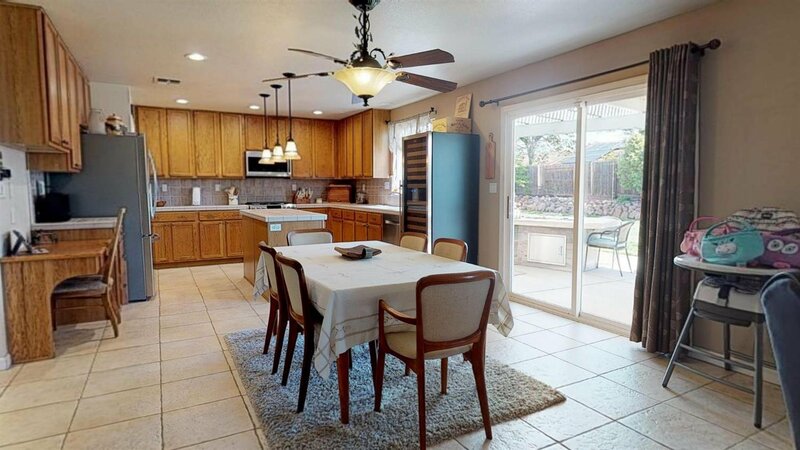 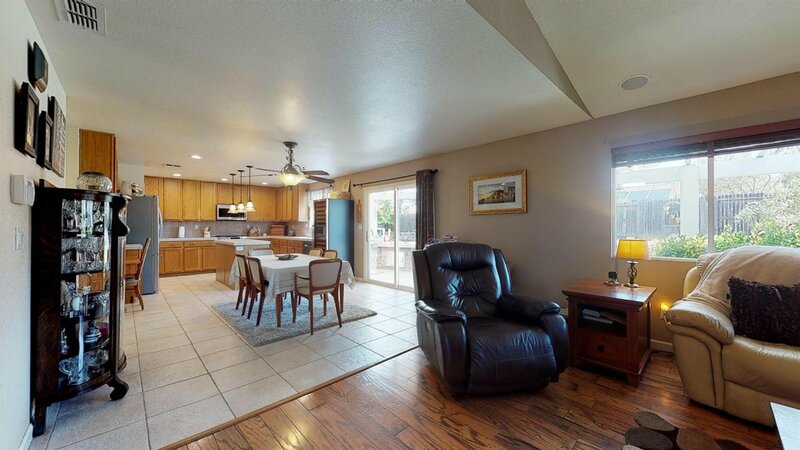 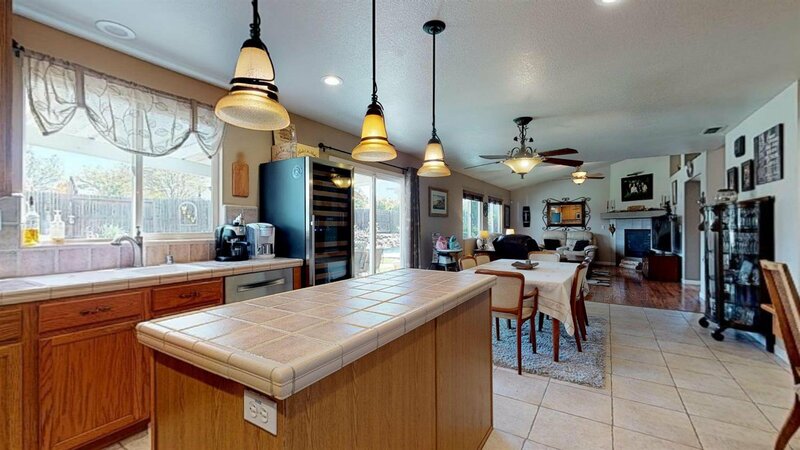 Inside offers an open floor plan with a kitchen/family combo. 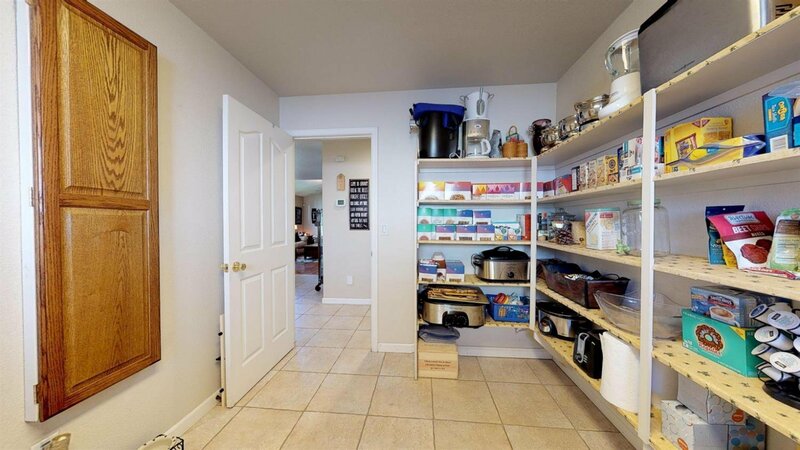 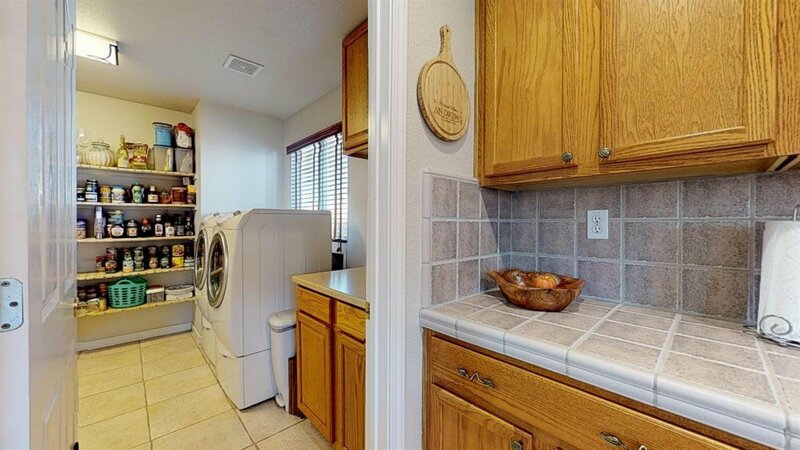 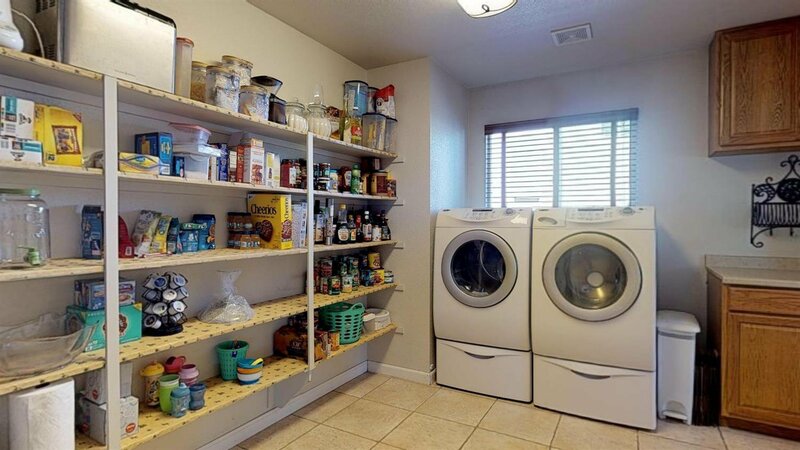 Right off the kitchen is a HUGE 10x11 PANTRY and laundry room. 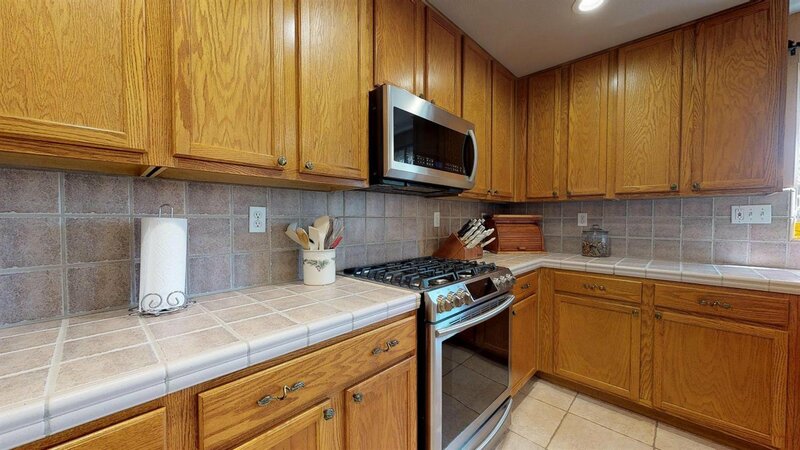 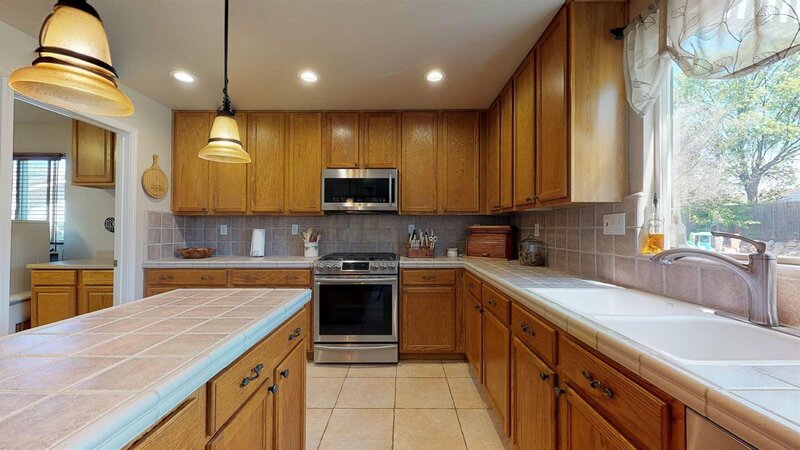 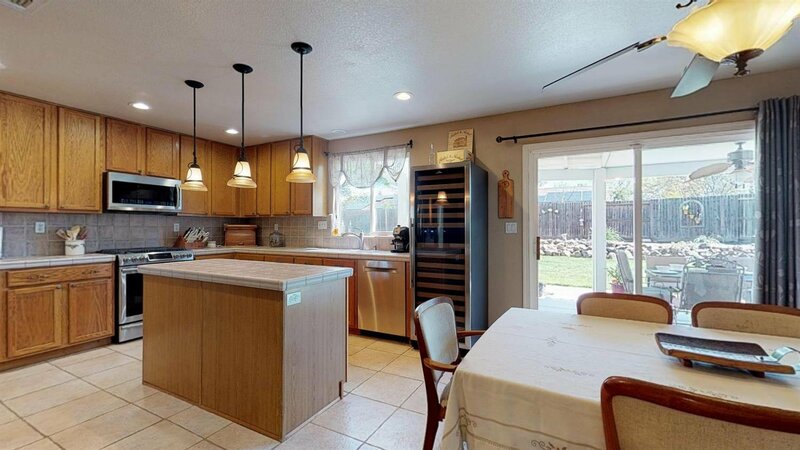 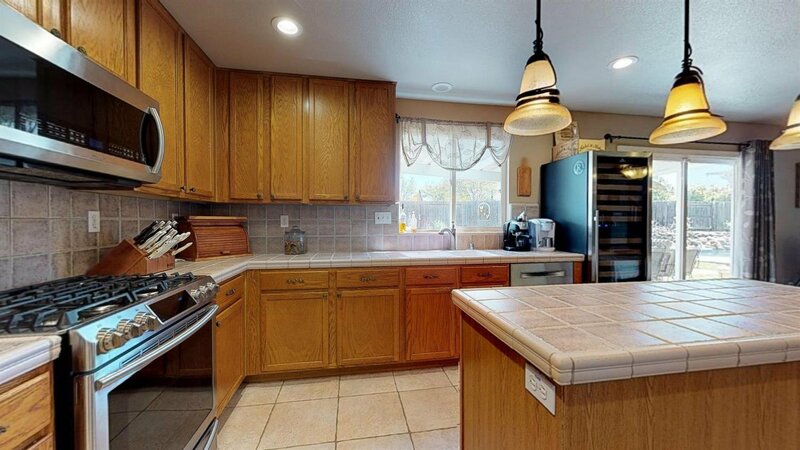 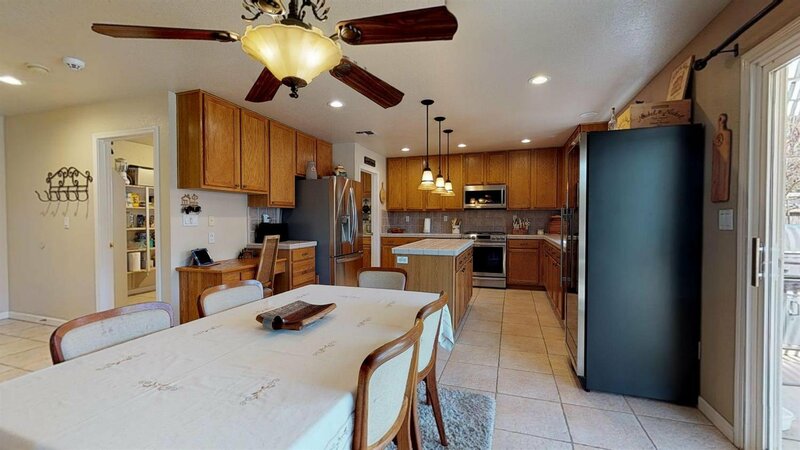 Stainless Steel appliances and fixtures, tile floors, center-island and lots of light complete the kitchen. 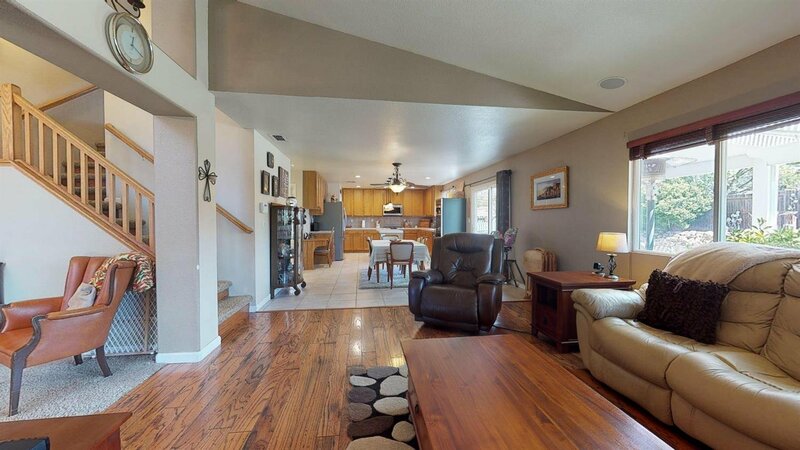 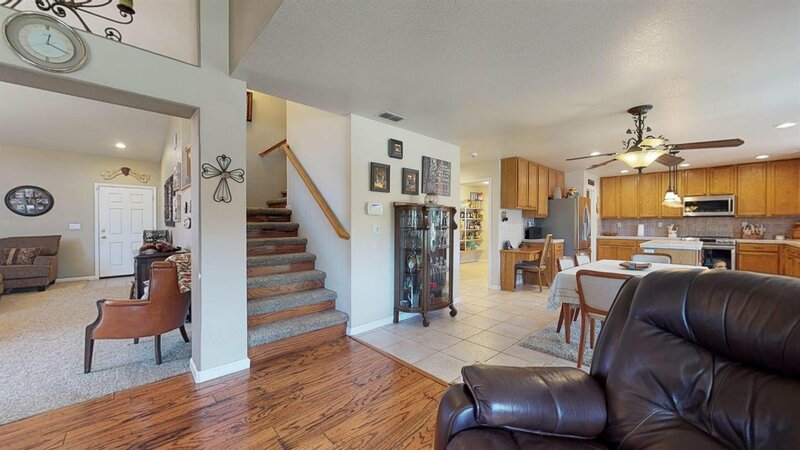 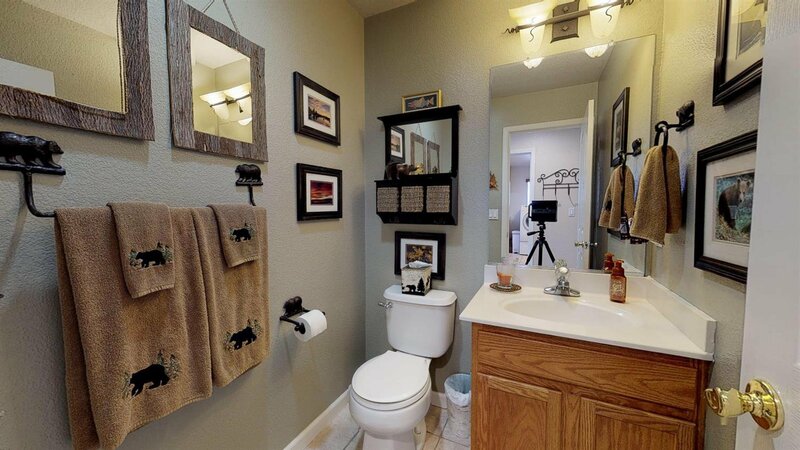 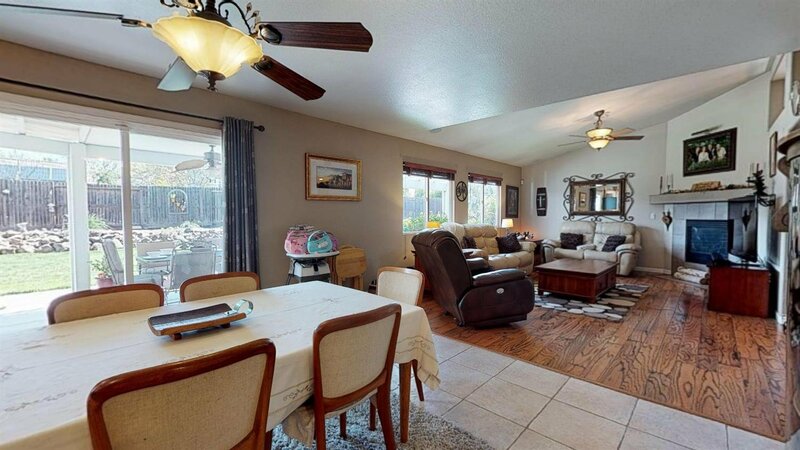 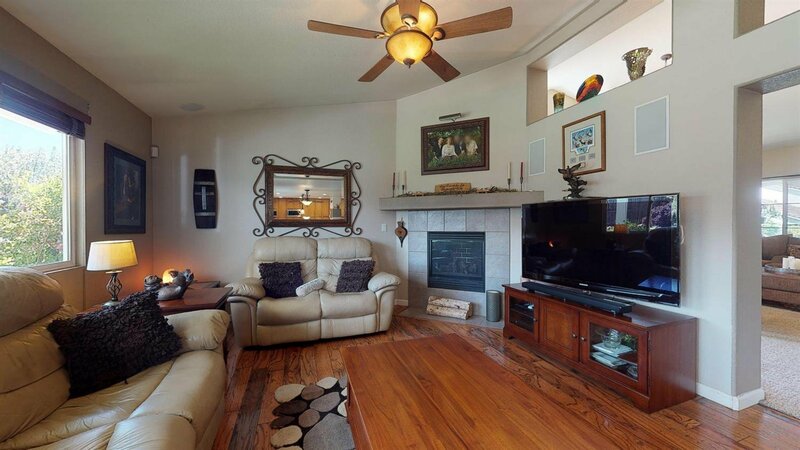 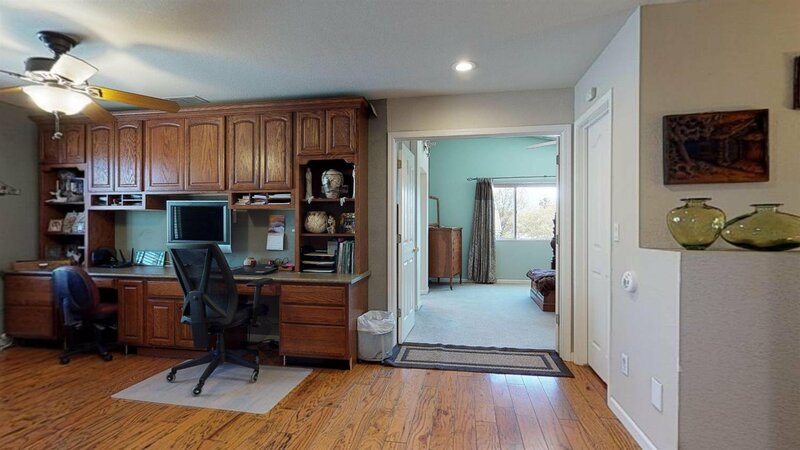 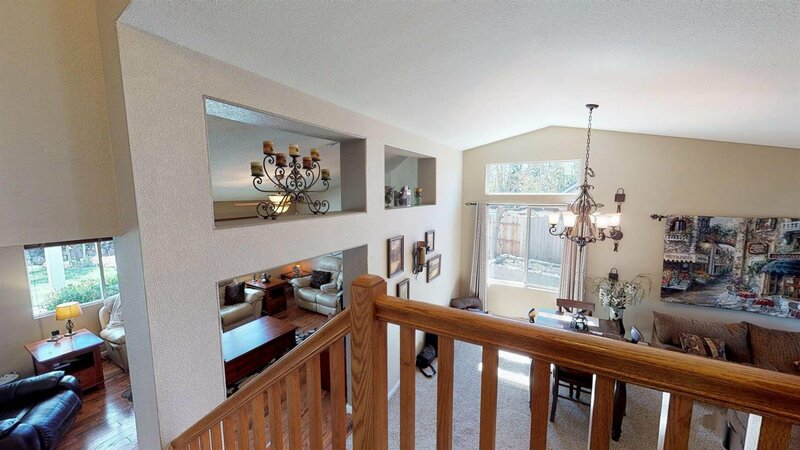 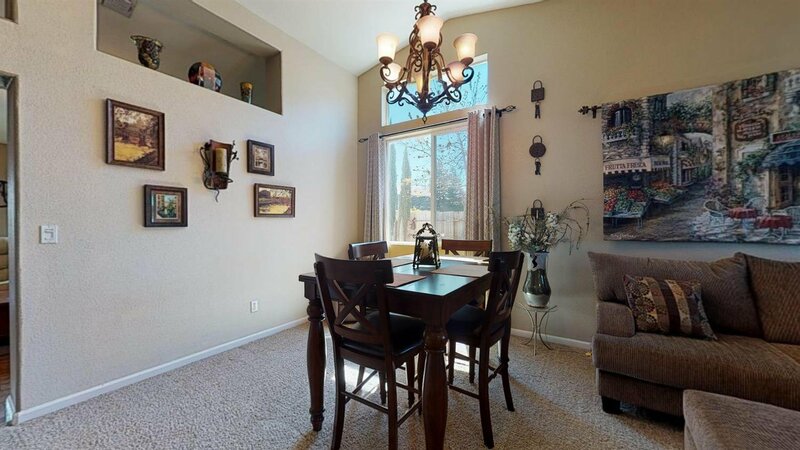 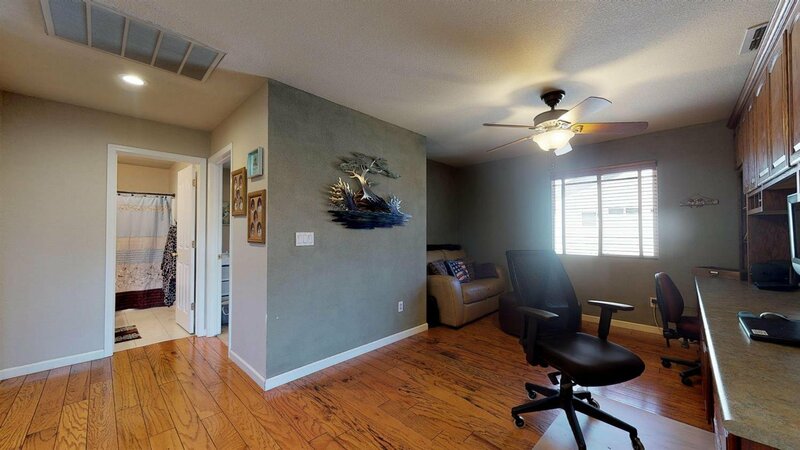 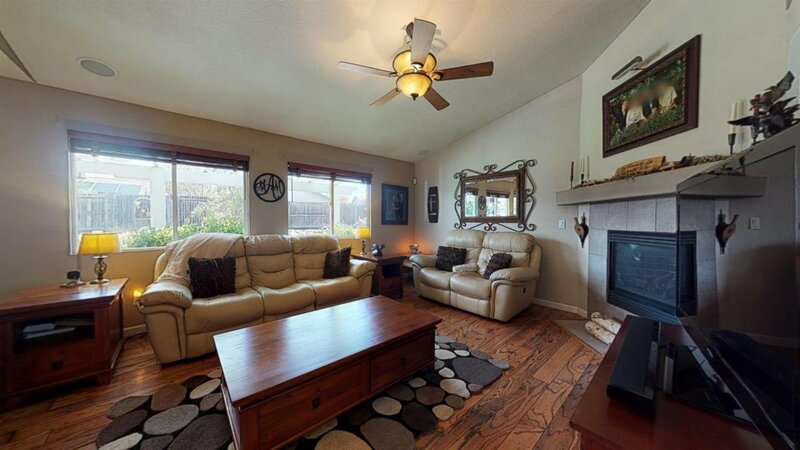 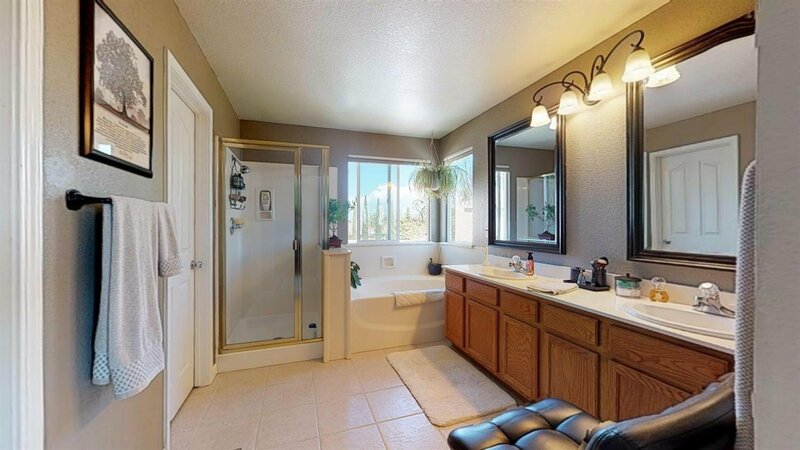 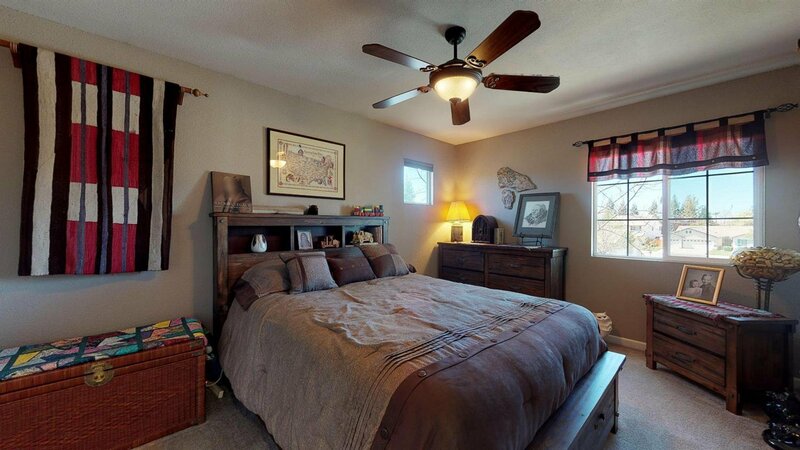 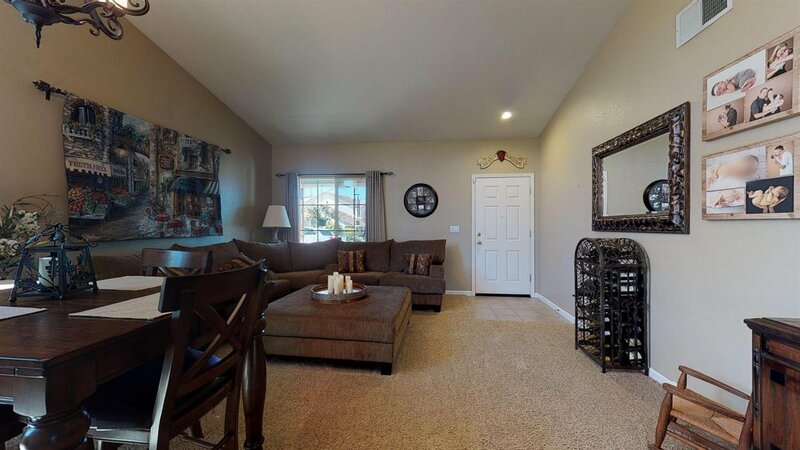 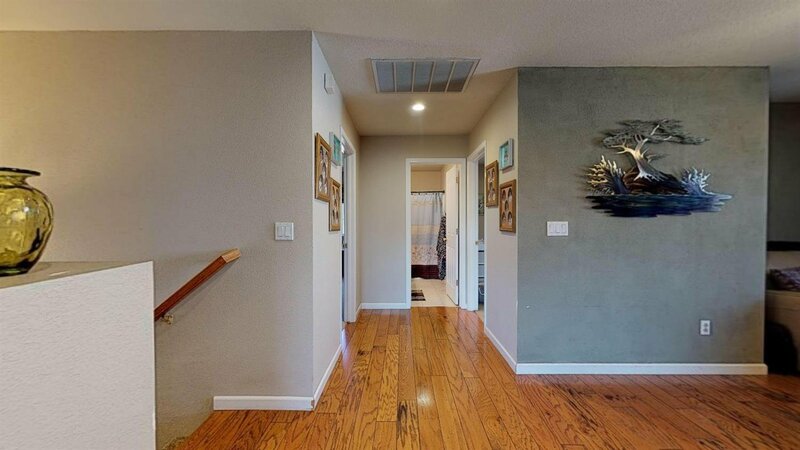 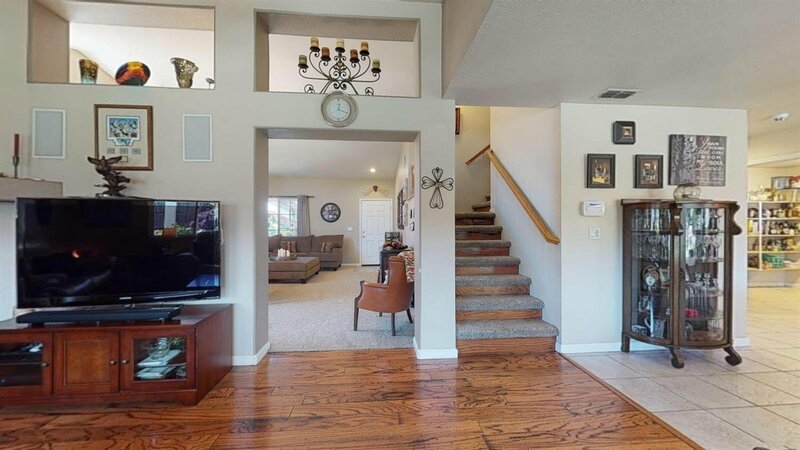 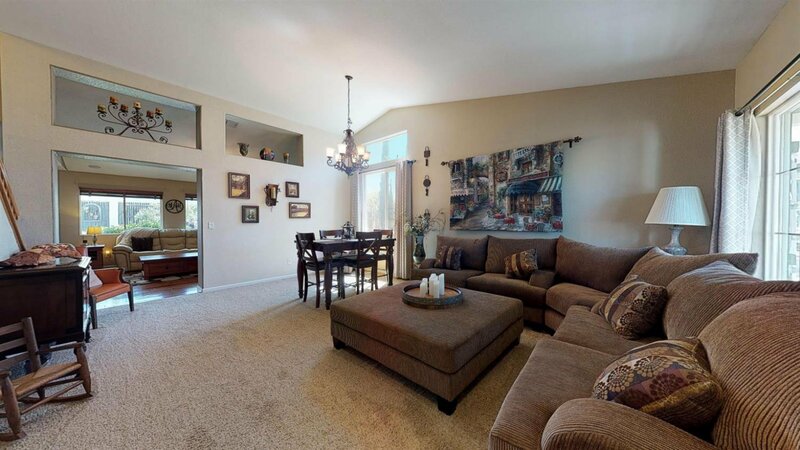 Wood floors, upgraded carpet, tile, and neutral paint create a warm and inviting atmosphere. 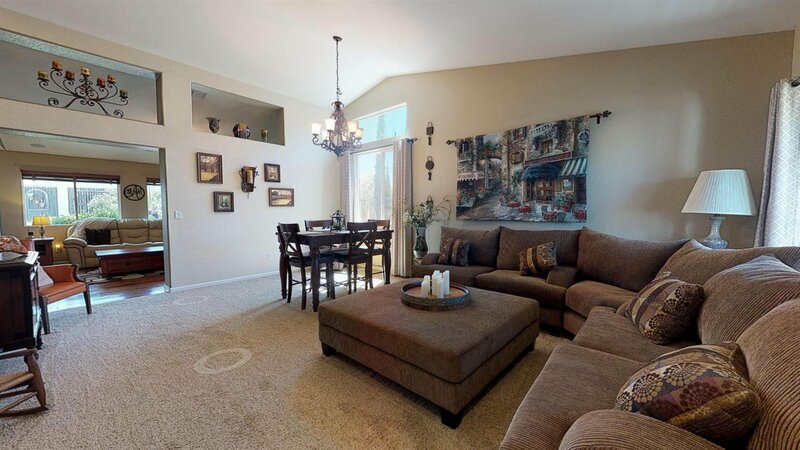 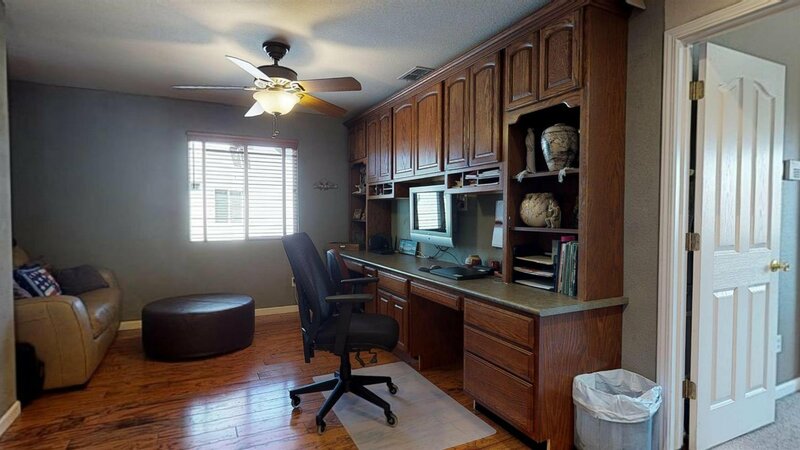 Upstairs offers 3 bedrooms and large loft or 4th bedroom with a built in desk and cabinets. 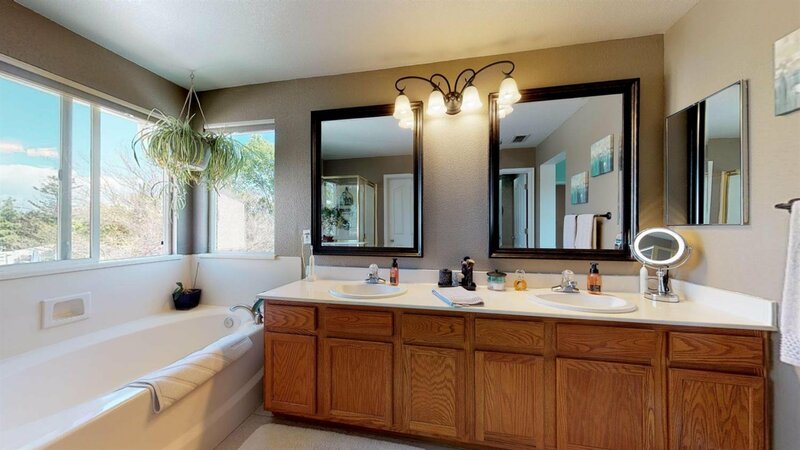 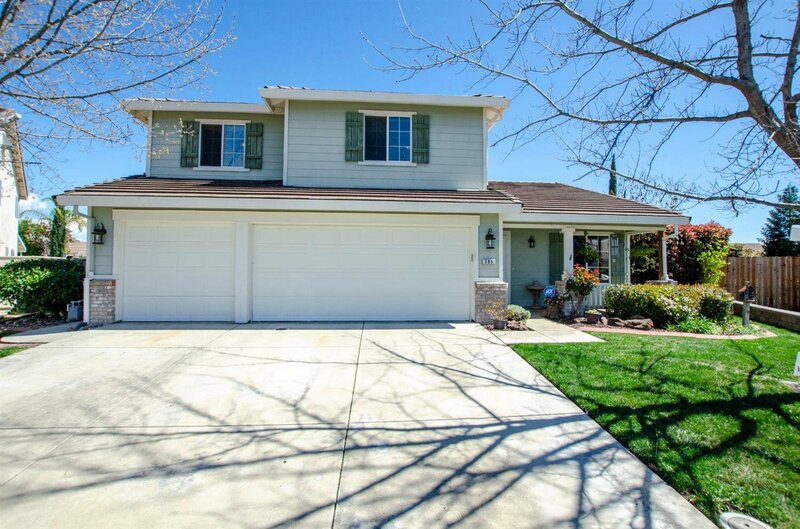 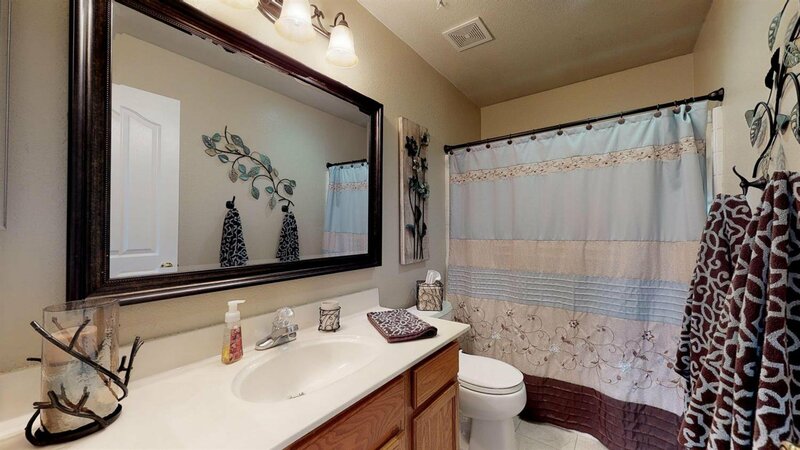 Low Mello Roos taxes at $805/ year.This home is a must see!